The most important addition to every bedroom is the wardrobe. A custom approach is the best solution as requirements vary for each individual. Custom designs enhance functionality and give a more modern look that complements your home. Lifestyle Wardrobes manufactures and installs custom wardrobes in Perth to all individual requirements. Our storage solutions are completely custom made using only quality materials. Designs can be adapted to any size, enabling a greater degree of flexibility not otherwise possible with other providers. The result is a solution that maximises storage space and enables easy access to your belongings. Our experienced designers take the time to fully understand your requirements. This allows us to not only deliver an attractive custom built wardrobe but also one that enhances functionality. Our solutions add incredible value to your home. Schedule a free measure to get started today. Walk in wardrobes: Choose from a selection of drawers, shelving units, and other storage racks that add even more functionality. These options can be configured to any arrangement. Built in wardrobes: Because our storage solutions are completely custom, we are able to work with all types of built in wardrobes even if there is an existing recess. A combination of drawers and shelving units can be used to all specifications. Hinged door wardrobes: This type of style is commonly found in Victorian or Federation homes and has a more traditional look. We offer professional installations in the style and finish of your choice. Sliding doors: Sliding doors add an elegant look and are a perfect solution when space is limited. Matching frames and tracks provide smooth operation when in use. Options include mirror safety glass, coloured board doors, and much more. Storage cupboards: Cupboards can be customised to add even more functionality to your home. These can be built to fit any application from living rooms to garages and more. Drawers, shelving, and hanging racks: The level of customisation is practically limitless. Choose from a range of drawers, shelving units, and hanging racks which can all be customised to any configuration. Installations are done by our qualified cabinet makers to exact specifications. We also offer DIY options if you prefer to do your own installation. View our gallery to view examples of our past work. 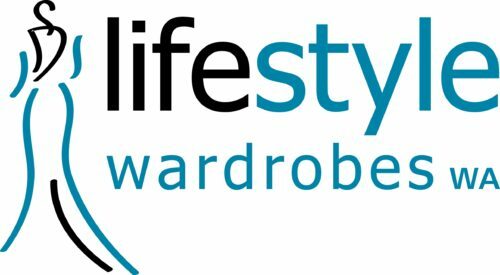 Lifestyle Wardrobes is an industry leader of quality storage solutions manufactured and installed to high standards. We work closely with you at every step to ensure a seamless experience from selecting the right designs to finalising the installations. No details are left to chance when you work with our professional team. Contact us today to schedule a free measure and quote for our custom wardrobes or visit our showroom to view our displays. You can also use our online form to book a quote and we will respond shortly.